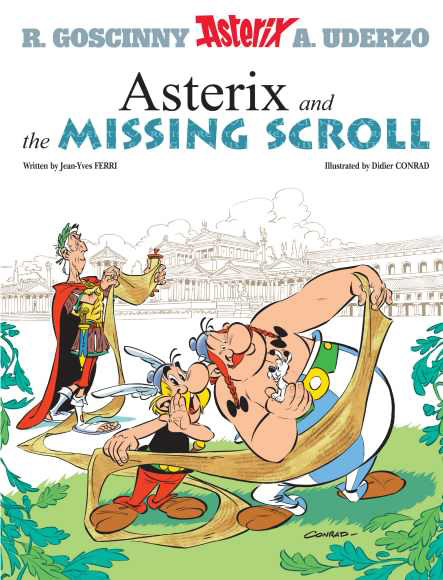 Asterix and the Missing Scroll is the 36th Asterix book, and the second to be produced by the creative team of writer Jean-Yves Ferri and artist Didier Conrad, following on from their maiden effort Asterix and the Picts. The story concerns Julius Caesar’s written history of his campaigns, and specifically the chapter titled ‘Defeats at the Hands of the Indomitable Gauls of Armorica’. Caesar, acting on the advice of his publisher, decides to drop the chapter from the final version, but a copy of the offending article (the missing scroll of the title) is sneaked out and eventually taken to the village of the aforementioned Gauls. It’s up to Asterix and Obelix to ensure that the truth is made known to the outside world. Ferri and Conrad continue the long tradition of commenting on current affairs in their book. This time it’s the turn of whistle-blower Edward Snowden and Wikileaks founder Julian Assange (here appearing as Counfoundtheirpolitix), whose stories contains many elements that fit comfortably into the tale of suppressed documents and political chicanery. The artwork is very polished and dynamic. 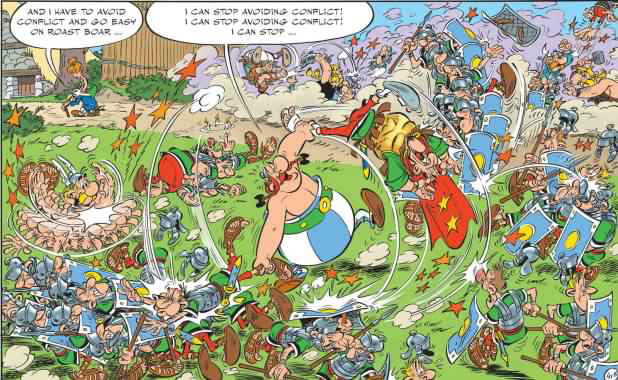 It looks just as good as any previous Asterix book, and one would have to be a real aficionado to tell it apart from Albert Uderzo’s work. 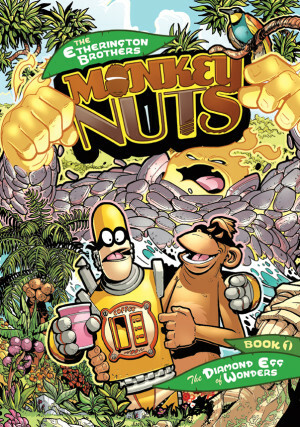 As for the writing, the story is on a par with many of the better books, and it’s a lot better than most that Uderzo produced on his own after his writing partner died. Puns, funny names and jokes that clearly haven’t always translated terribly well abound, giving proceedings the real René Goscinny flavour that Uderzo’s solo efforts sometimes lacked. And Ferri manages to work in lots of jokes on many levels, inserting modern references more smoothly than Goscinny often did. 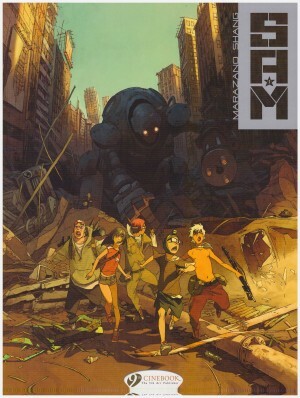 The story wisely sticks with a fairly traditional plot, and quite a bit of the action is set in the village so that we can enjoy all the usual shenanigans between the fishmonger and the blacksmith, and witness Chief Vitalstatistix and his wife’s constant squabbling. Caesar is also a good choice for the villain of the piece. He should be the Big Bad, but isn’t really: an intelligent man, he clearly has lots of respect for the Gauls, and they appear to return the sentiment. However, that doesn’t mean we don’t have Romans frequently getting their heads kicked in, and we have a big battle at the end that ticks more boxes, and really helps to make this adventure look and feel like the genuine article. 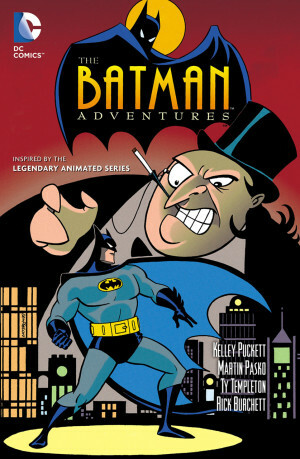 When the original creators depart their successors often aren’t a patch on the real thing, but it’s nice to be able to report that this isn’t the case. 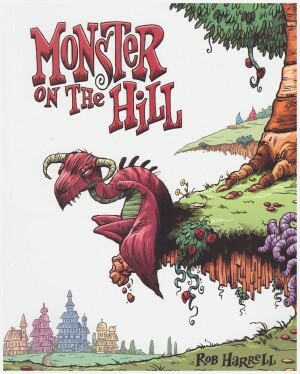 It’s not as good as the very best of Asterix, but it is a worthy addition to the series, and would seem to indicate that there’s plenty of life left in those indomitable Gauls, even if the same, sadly, can’t be said of the original creators. Speaking of whom, the book contains a charming postscript that pays homage to Uderzo and Goscinny, which is a nice touch. Based on this evidence, it would appear that Asterix and Obelix will be entertaining children and adults for many, many years to come.